Laika and I were able to get out to the park every day this week and it’s been awesome. 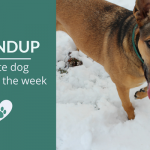 Well except for Tuesday when she decided to plop down face first into a giant mud puddle and roll around until she was completely covered (with bonus horse manure). What is it about mud and poop that is so irresistible to dogs? Luckily it’s nothing that a simple hose down can’t fix. 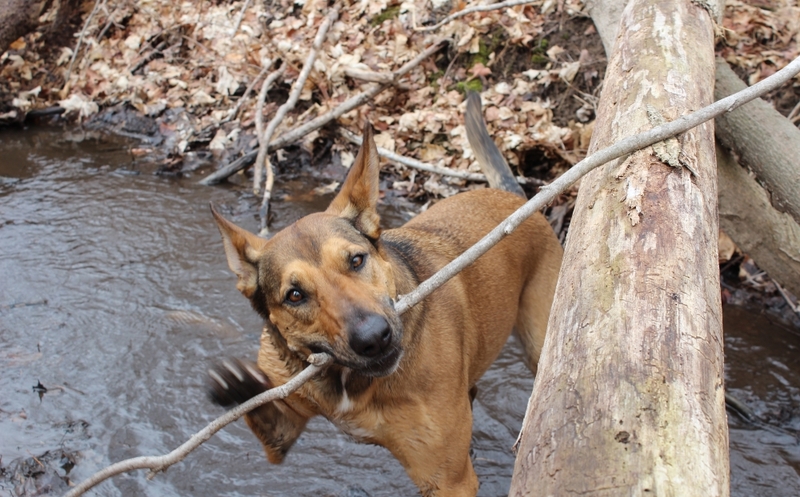 Apparently Laika develops what appears to be a “bear claw” when wading in streams. 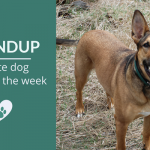 Rescue Decisions – The Dog or the Community? The question of what animals to save is something rescue workers have to face, and it can be heartbreaking. There’s a moral dilemma that has to be asked – do you choose to save the dogs that are already “adoptable” or work on those that aren’t as likely to get adopted. This article explores both sides of that decision. The Morris Animal Foundation recently announced that they’d finished the enrolling 3,000 dogs for their Golden Retriever lifelong study. They’ll be studying the effects of genetic, nutritional, and environmental risk factors for cancer and other health issues. Beautiful article about how adopting a dog changed one womans life for the better in many ways – something she wasn’t quite expecting. A look at how behavioral pharmacology, such as treating dogs with anxiety medication, is becoming widely accepted amongst veterinarians. 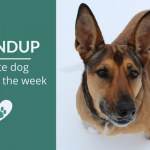 Since dogs don’t talk many pet owners remain conflicted about treatment options because it’s much easier to treat undesirable behaviors when they know why it’s happening. An estimated 59,000 human deaths occur each year due to rabies. Previous studies have found that vaccinating 70% of the world’s dog population is the key to eradicating the disease. Wonderful rebuttal to the “Vets are too Expensive, and it’s Putting Pets at Risk” article recently published in the Washington Post. In 2013 an estimated 74,000 dogs were used in the United States for scientific research. Groups like the Beagle Freedom Project are working to pass legislature that would allow these animals to be re-homed after they’re done being used. An estimated 2.5 million puppies are born in puppy mills each year. Here’s a look at some of the facts you might not know about the puppy mill industry and what you can do to help. Researchers in Sweden found that female dogs tend to seek out the help of humans more than their male counterparts. Although they don’t know the exact reason why females seem to be more cooperative they think it might be a side effect of their natural nurturing instincts. If you have both dogs and cats you’ll find this scene all too familiar. It’s the tale of a litter box and…OK I won’t spoil it all – but if you’re looking for a good laugh look no further. It’s been long known that training can affect the way a dog reacts to stress and fear, but a new study is taking a look at whether there seems to be a measurable difference in the intelligence level of trained vs untrained dogs. 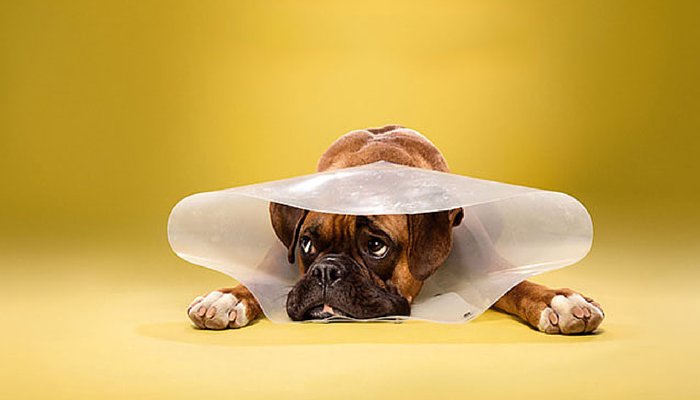 Amazing photo serious of dogs wearing the “cone of shame” as seen in the featured image. If you’ve ever had a pet that’s had to wear one you’ll understand the total look of sadness and defeat. Interesting look into how a dog can effect the relationship we have each at home. Since it can be easier to express love for a dog than another human it seems dogs might be inciting jealously between owners. One of the funniest things I’ve read in a long time. How much has your dog accrued over the years? I started adding up Laika’s bill and it became quite staggering. Lovely photos showcasing the adventures a former shelter dog is getting to experience with her new owner. I can honestly say some of the best moments from my travels have simply been watching her run free. Doing what she was meant to do. Meet the heroic dog that fought off coyotes to save his owner. Ever wondered how your sleeping habits compare to those of your pets? Check out this great Infographic by Web Blinds. 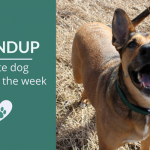 Read any great dog related articles this week? Be sure to submit them for a chance to be included in our weekly roundup series. I guess I didn’t realize the incidence of deaths from Rabies was so high… wow! I had a professor in college who was from India and very old. He told us that when he was a boy, he one saw a man in his village become sick with Rabies and that it was awful. They had to tie him to a post to keep him restrained. That infographic is pretty cool too, especially since they have so many types of pets featured on it. It’s so sad that something as well known as puppy mills are still such a problem. But all things considered there has been a big decrease in their numbers over the past few decades – it’s just sad knowing how much more work is needed to put an end to them all. I have my reading cut out for me today! Thank you!!! Mud AND Manure! That sounds like heaven to me!! I love all the photos on the My Adopted Dogs Adventures link you put up! Its so rewarding seeing a former shelter dog so happy in another life! Busy week! I especially loved “A Bill for all the Debts…” story, the video of Sako the hero dog (I’m a sucker for dogs who rescue stories), and the “Adopted Dog Adventures” photos (although Envy raised it’s head on me on that one). Wow – I’m surprised how accurate that sleep schedule from the infographic is for my dogs! Even when I am home on the weekend they sleep for the most part from 9-4. I love these roundups that you do. I’m adding all of these articles to my must read list! I would like to personally congratulate you as your blog Puppy Leaks has been selected by our panelist as one of the Top 100 Pet Blogs on the web. I personally give you a high-five and want to thank you for your contribution to this world. 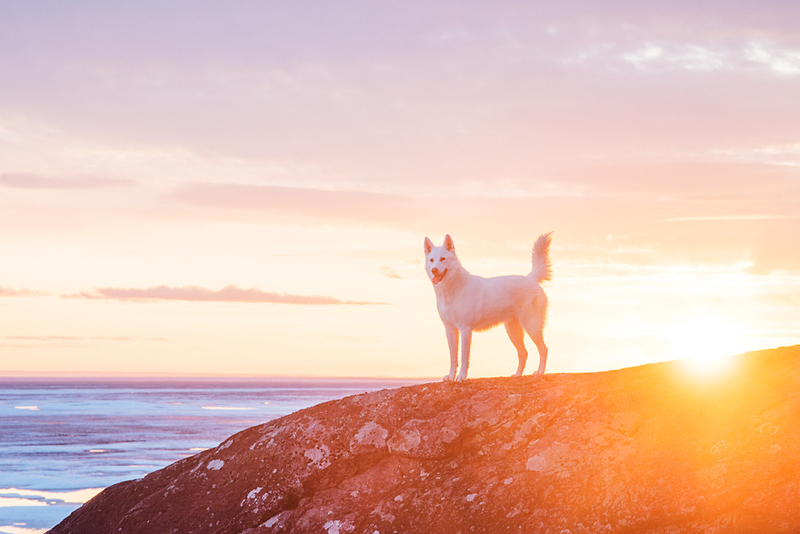 This is the most comprehensive list of Top 100 Pet Blogs on the internet and I’m honored to have you as part of this!